37-year-old former staff of Addosser Micro-Finance Bank ltd, Aliu Mustapha, on Thursday appeared before an Igbosere Magistrates’ Court in Lagos over alleged N1 million theft. The defendant was arrested on his wedding day, and is facing trial on a charge of stealing preferred against him by the police. However, the defendant pleaded not guilty to the charge. The prosecutor, Samuel Mishozunnu, told the court that the defendant committed the alleged offence between May and June 2017, during working hours, at No. 32, Lewis St., Lagos Island. t the defendant allegedly committed the offence while working with Addosser Micro-Finance Bank ltd.
Mr Mishozunnu said that the defendant collected the N1 million from customers of the micro-finance bank but refused to remit it to the bank. “One of the customer’s gave the defendant N840, 000 and another customer gave him N160, 000, but the accused absconded with the money. “Mustapha was arrested on August 11, during his wedding after the police got information that he was getting married. “The police waited for him to exchange his marriage vows after which he was apprehended and charged,” Mr Mishozunnu said. The defence counsel, M. A. Rufai, urged the court to grant bail to the defendant on most liberal terms. In his ruling, the magistrate, Y.O. Aro-Lambo, granted a N200, 000 bail to the defendant with two sureties in like sum. He said that one of the sureties must be a community leader, adding that they must show evidence of tax payment to the Lagos State Government and have their addresses verified. 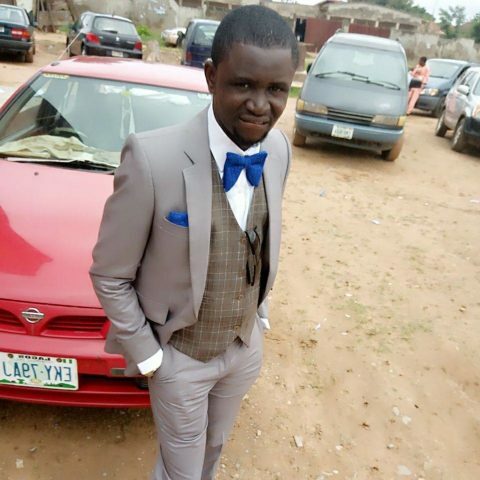 0 Response to "Banker Arrested on His Wedding Day For Defrauding Customer off N1m (Photo)"